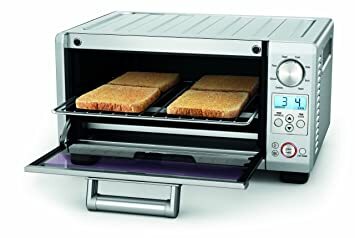 Amazon.com has Black & Decker TRO480BS Toast-R-Oven 4-Slice Toaster Oven for $19.99 (reg. $54.99). Free shipping with Prime (free student or parent/caregiver accounts available) or if you spend $25 or more. Amazon 现在这个 Oster Digital Large Capacity Toaster Oven with Black/Polished Stainless Accents 降价 for only $59.88 (regularly $114.99) – which is the lowest price it’s ever been! Plus, shipping is free. 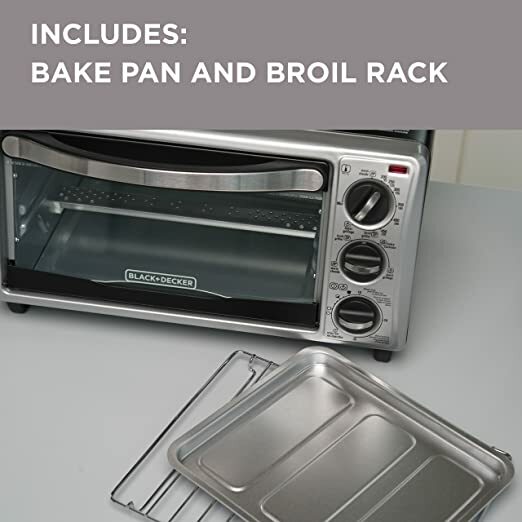 This toaster includes a 6-slice toaster oven, digital controls with interior light, an extra-large interior that holds 13 by 9 pan, whole chicken, casseroles, roast or ham and a removable external crumb tray with 2 rack positions. 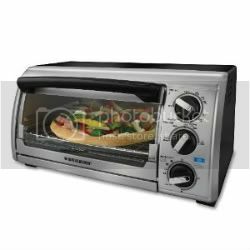 Walmart.com 现在 this Hamilton Beach Large Capacity Counter Top Oven in chrome 降价后 to just $52.08 (regularly $99.99). Plus, shipping is free! This toaster oven holds two 12″ pizzas and includes 2 cooking racks and 1 drip tray. This compact 2-in-1 appliance functions as a traditional toaster and a toaster oven that can cook up to two 16″ pizza slices or two personal pizzas at once. It features automatic shutoff for convenience and safety. Amazon 现在 this highly rated Breville Smart Oven 1800-Watt Convection Toaster Oven with Element IQ for just $199.95 shipped (regularly $248+). This smart oven comes with 9 preset functions including Toast, Bagel, Bake, Roast, Broil, Pizza, Cookies, Reheat and Warm. It is larger than most toaster ovens with space to fit six slices of toast, a 13-inch pizza, or a whole chicken. 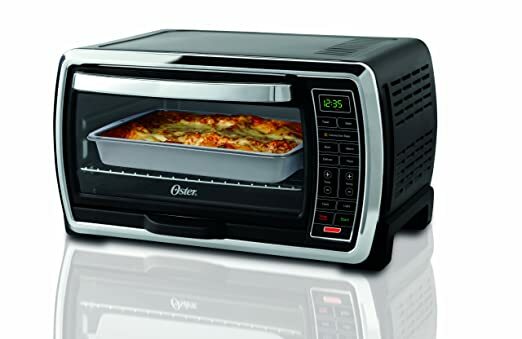 Through June 10th, Target.com this Oster Convection Oven with Pizza Drawer on sale for just $69.99 shipped (regularly $89.99). Even better select to pick it up in the store and save an extra 10% off – no promo code needed. Final cost will be just $62.99. Amazon now you can get this highly rated Oyama Turbo 12 Liter Convection Oven for only $36.65 shipped (regularly $69.95). This Convection oven allows you to bake, grill, steam or roast. It includes a 12 liter tempered heat resistant glass cooking bowl, 2 wire cooking racks, plate tongs and an instruction manual with recipes! Today, September 26th only, BestBuy.com is offering this Chefman 4-Slice Toaster Oven for just $19.49 (regularly $38.99). Shipping is FREE on orders of $35 or free in-store pickup. This toaster allows you to keep an eye on food progress via the glass door and has a 30-minute countdown timer with a signal bell so you know when food is ready. 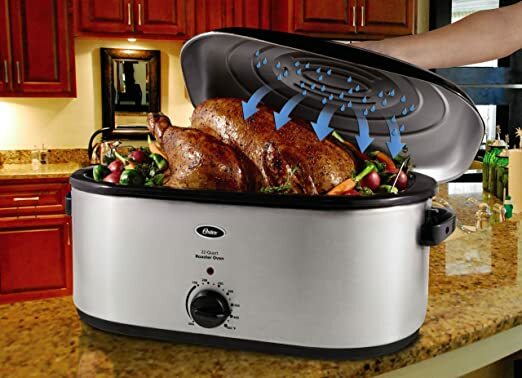 BestBuy.com now get this highly rated Bella 24-Pound Electric Turkey Roaster for just $29.99 shipped (regularly $49.99). This large capacity roaster is big enough to hold a 24-pound turkey and comes with a self-basting lid to keep poultry moist as it cooks. Includes a removable cooking pan and wire rack. 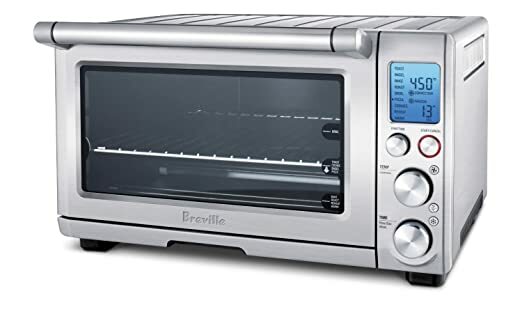 Amazon now get this Breville BOV450XL Mini Smart Oven with Element IQ for just $95.99 shipped (regularly $149.95) – lowest price! This mini oven has 8 pre-set cooking functions and can fit up to 4 slices of pizza at a time. Element IQ cooking adjusts the power of four separate heating cores to cook food quickly and evenly. Amazon now get this Calphalon Contemporary Hard Anodized Nonstick 16-Inch Roasting Pan with Rack 5-Piece Set for only $54.96 shipped (regularly $170) after you clip the $25 coupon! 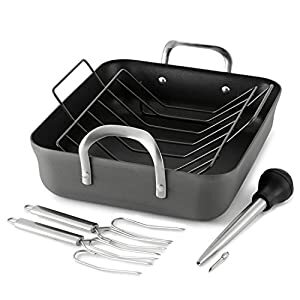 This set includes a 16-inch roasting pan with rack, two stainless steel lifters, and injection baster. The roasting pan can hold up to a 25-pound turkey! Amazon now you can get this highly rated Oster 22-Quart Roaster Oven with Self-Basting Lid for just $32.89 shipped (regularly $49.96) – best price ever! 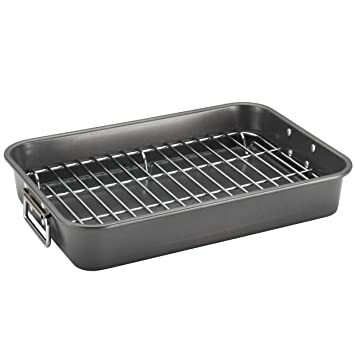 This Roaster Oven includes a removable enamel-on-steel roasting pan which helps to make for easy clean up and it also has a steel roasting rack. This oven can hold up to a 26 pound turkey and can bake anything your regular oven would including muffins, rolls, a sheet cake and more. 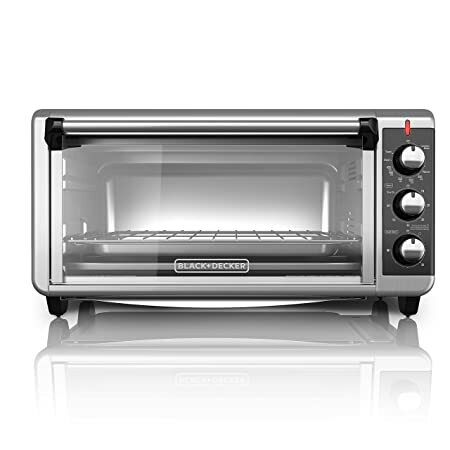 On Amazon.com you can now buy this BLACK+DECKER 4-Slice Stainless Steel Toaster Oven for just $22 shipped (regularly $37.09) after you clip the $8 off digital coupon! This compact toaster oven is specially designed to feature even toasting of up to four slices of bread at once and can also cook a 9″ pizza. It has four cooking functions – baking, broiling, toasting and keep warm. 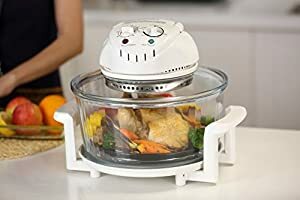 On Amazon.com you can now get this Farberware Nonstick Bakeware 11-Inch x 15-Inch Roaster for only $14.48 (regularly $22+). This pan features a removable chrome plated rack that keeps meat elevated so fat can drip to the bottom of the pan. It has a nonstick surface for easy cleanup and is oven safe for up to 450 degrees. On Walmart.com you can now get this Hamilton Beach 28-Pound Turkey Roaster Oven for as low as $23.56 (regularly $44.19). This roaster oven has a whopping 929 5-star reviews! Keep your oven available for other goodies with this easy turkey roaster! You can roast, bake, cook and serve with this oven. Plus, it has an adjustable temperature control so you can use it as a warmer for side dishes or to cook the main entree. The removable pan makes clean-up a breeze. Today, February 28th only, on Best Buy.com where you can now buy this Bella 4-Slice Toaster Oven for just $14.99 (regularly $29.99). This toaster oven can bake, toast and broil. It has a 30-minute timer and includes a baking pan, crumb tray and broil rack. 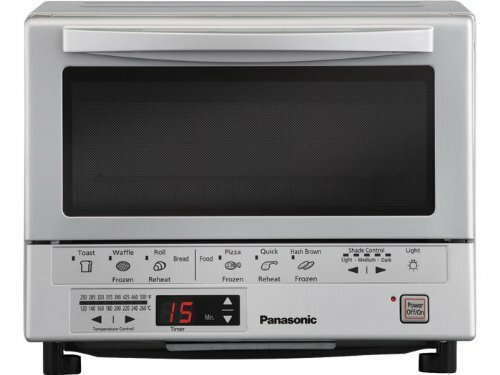 On Amazon where you can now buy this Panasonic Flash Xpress Toaster Oven in Silver for just $80.99 shipped when you clip the $26.01 off coupon. This toaster oven will bake, brown, toast and reheat up to 40% faster than a conventional toaster oven. Plus, it has FlashXpress which means you don’t have to preheat anything! On Amazon where you can now get this BLACK+DECKER 8-Slice Extra Wide Convection Oven for just $43.49 shipped (regularly $57.06) when you clip the $13.57 coupon! This extra-wide convection oven fits most standard 9″x13″ oven pans, 8 slices of bread or a 12″ pizza! This oven allows you to bake, broil, toast and more! On Target.com where you can now get this highly rated BLACK+DECKER 4-Slice Toaster Oven for just $19.99 (regularly $29.99). This toaster oven can bake, broil, toast and keep food warm. It will evenly toast up to four slices of bread at a time, and includes a rack, pan and removable crumb tray!